When it comes to Smartphone, we all love Changing Wallpaper on Android, but, when it comes to Set Wallpaper Without Cropping, it becomes difficult for us. So, here in this Article, I’m going to Share How To Set Wallpaper Without Cropping In Android? Android is the widely used Platform for Smartphone Devices as it is blessed with tons of Apps on Google Play Store. For any Error, most of us try to handle it by downloading some Apps from Play Store. We all want our Smartphone looks awesome every time you Unlock the Phone. So, we use Wallpaper Apps For Android which can be changed automatically from time to time. Sometimes, we want to Set our Wallpaper Manually. So, we head over to Gallery and Select the Picture and Set it as Wallpaper. But, the problem is, when we Set Wallpaper, it gets cropped automatically. So, we need to solution to Set Wallpaper On Android Without Cropping. There are many Apps On Play Store like Auto Resize Wallpaper App, Wallpaper Cropper, Android Wallpaper Size Fix, etc. 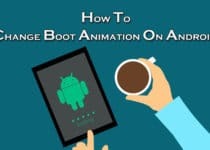 Though there are many Apps On Play Store, you can use the one you like or stick with the Article to Download one of the Best Android Wallpaper Cropper App. 0.1 Why you need to Set Wallpaper Without Crop? 1 How To Set Wallpaper Without Cropping In Android? Why you need to Set Wallpaper Without Crop? It happens many time when you upload any Image or Wallpaper on your Home screen or even in WhatsApp Profile, it automatically gets cropped or stretched. Due to Stretching & Cropping, you don’t get a full sized image you want to set. So, you can use this method to set a Full Sized Image on your Instagram, Facebook, WhatsApp or even on your Phones Wallpaper. So, if you have a question on How To Make Wallpaper Fit On Screen, then let’s proceed further and check out Step By Step Guide. How To Set Wallpaper Without Cropping In Android? After Download & Installation, Open the App. Now, On the Main Screen, you can find three options; Image, Color & Collage. Simply Click On Image. Allow Permission To Access Media Files. Now, Select the Image you want to Set as Wallpaper. From Bottom, you can find some options like Scrolling, Previous, Next, Clip, Background, etc. You can adjust according to your choice. Once you are done, Simply Click On Apply From Top Right Corner. Done! You have successfully Set Wallpaper Without Cropping. You can easily Adjust image and Set a Full-Size Image as Wallpaper. 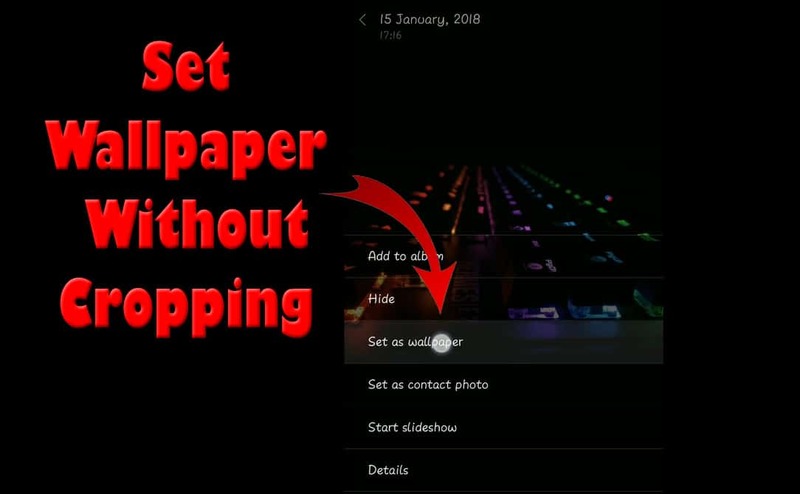 This was the Article On How To Set Wallpaper Without Cropping On Android. You can easily Set Wallpaper On Android Without Zoom with the help of this App. This App can also be used as Photo Editor App as it also has cool filters to Apply to your Photos. Apart from this, there are many other Apps on Play Store which you can Download if you want. Hope you liked this Article On How To Set Wallpaper Without Cropping In Android. Do Comment below if you have any query. Stay tuned with us for more latest Tricks & Updates.